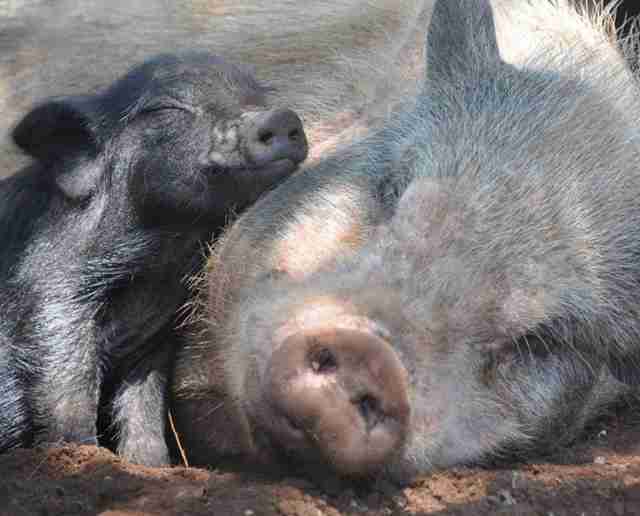 Leslie Giles had rescued many shelter dogs, but she never expected to rescue pigs. In fact, the first pig that came into Giles’ life wasn’t a rescue at all — he was a pet bought from a pig breeder. “I’d always wanted a pet pig, and in 2004 we bought Winston Peanut,” Giles told The Dodo. The breeder told Giles and her husband that Winston Peanut was a “teacup pig,” and warned them not to overfeed him so he wouldn’t grow too much. “Luckily we ignored that [advice],” Giles said. Giles fed Winston steamed vegetables and mashed potatoes and baby porridge and everything else he needed and wanted, and Winston quickly grew to become several hundred pounds. But Giles adored Winston, and didn’t mind what size he was. Then something funny happened. 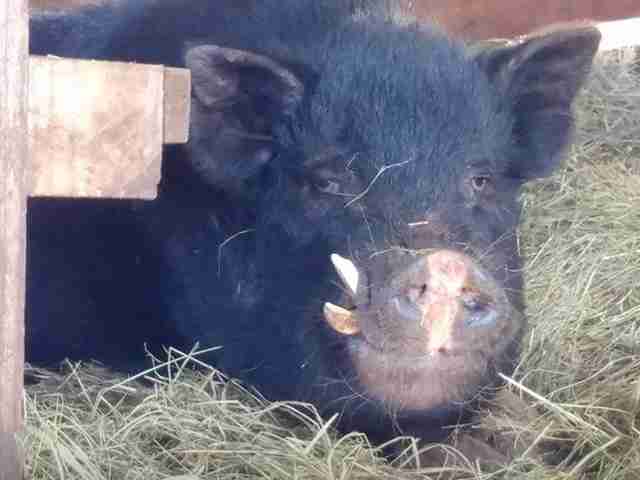 People started dumping their unwanted pigs on Giles’ property in South Africa, perhaps because they knew she had Winston. 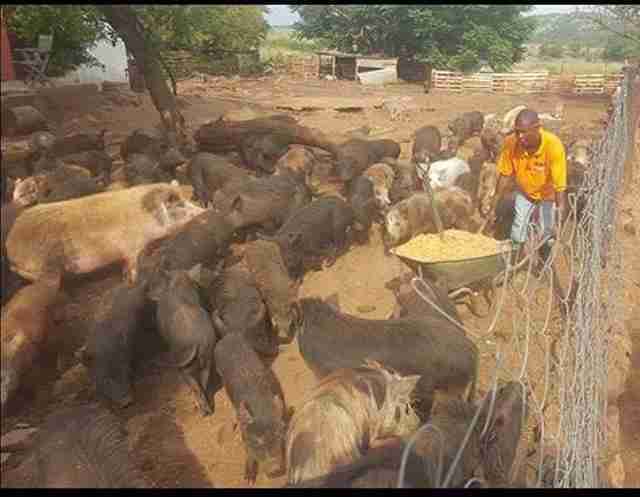 By 2012, Giles was taking care of 20 abandoned pigs, and she decided to start a proper pig sanctuary called Pigs ’n’ Paws, which was — and still is — the only pig refuge in South Africa, according to Giles. 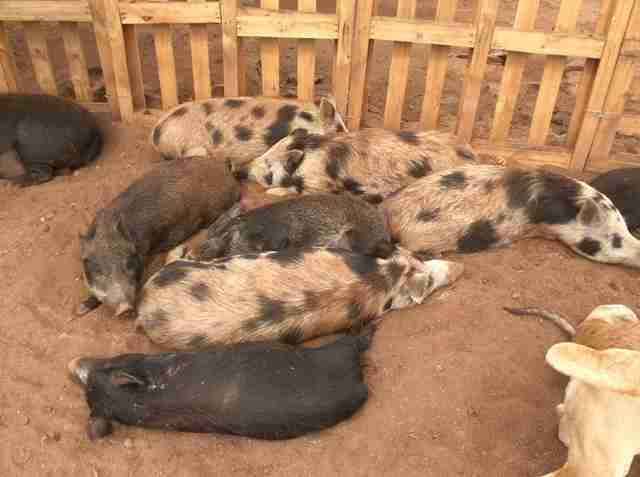 With the opening of the sanctuary came more pigs. And more. And more. 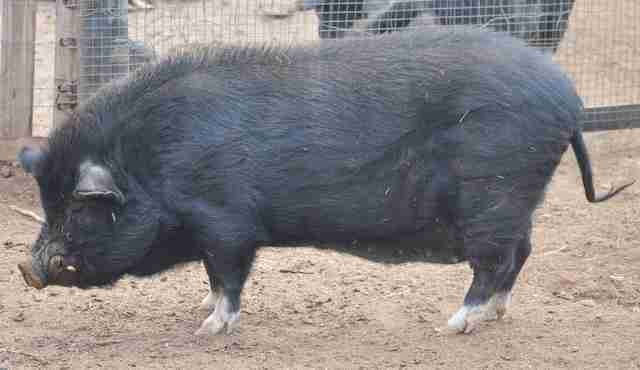 While the rescued pigs came from many different circumstances, many were unwanted teacup pigs who had grown larger than expected, like Winston Peanut. 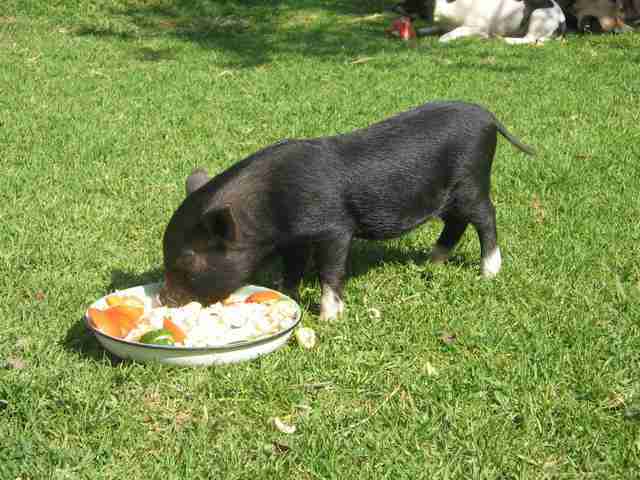 In reality, teacup pigs are just baby potbellied pigs, which can grow to be 600 pounds. 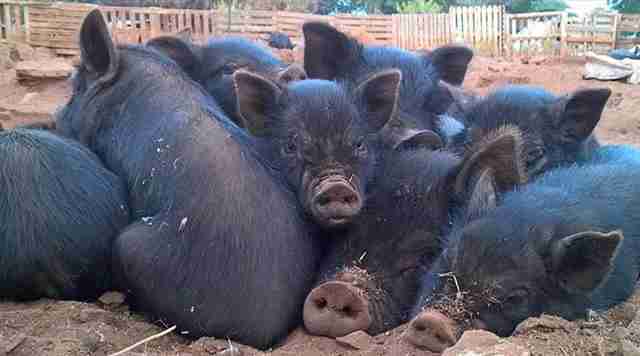 Yet pig breeders will often mislead buyers into thinking they’ll always remain small, sometimes by starving them. They encourage owners to underfeed them as well, which can cause severe malnourishment. But in South Africa, rescuing pigs isn’t a big priority for most people, especially as there are many human welfare issues, Giles explained. “In a country where the poor outnumber even the middle class, pigs do not generally get much good publicity except as food,” Giles said. She added that when South Africans do choose to help animals, it’s usually dogs or cats. 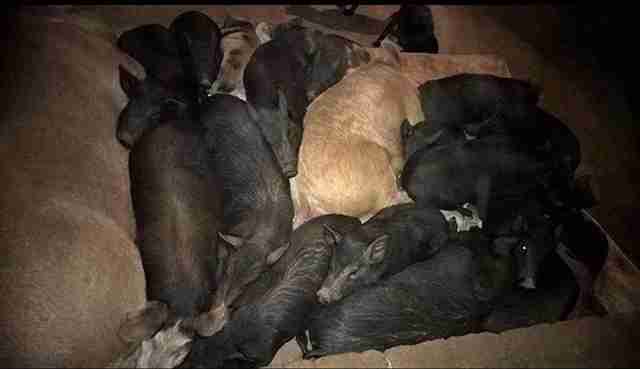 Pigs ’n’ Paws now has 271 pigs, as well as 26 rescue dogs. To feed and care for their current residents, Giles works full-time at a local casino. 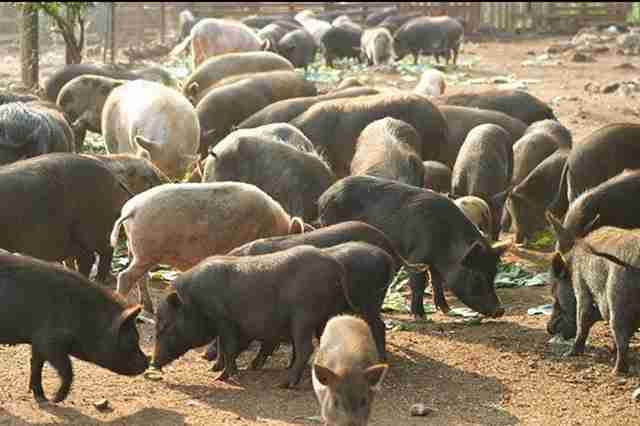 The sanctuary isn’t able to take in anymore pigs for the moment, and has already had to turn many animals away. 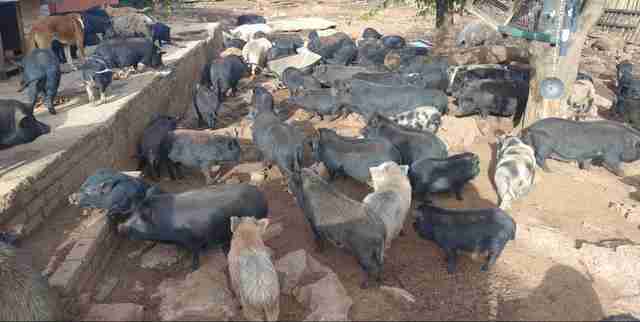 While Giles adopts some pigs out, she uses an intensive vetting process to make sure the pigs won’t end up as food or abandoned again, and only five or six applications are approved each year. 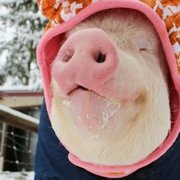 But as more people become aware of how smart and good-natured pigs can be, Giles hopes she’ll soon see more funding and support — which will mean being able to rescue even more pigs. 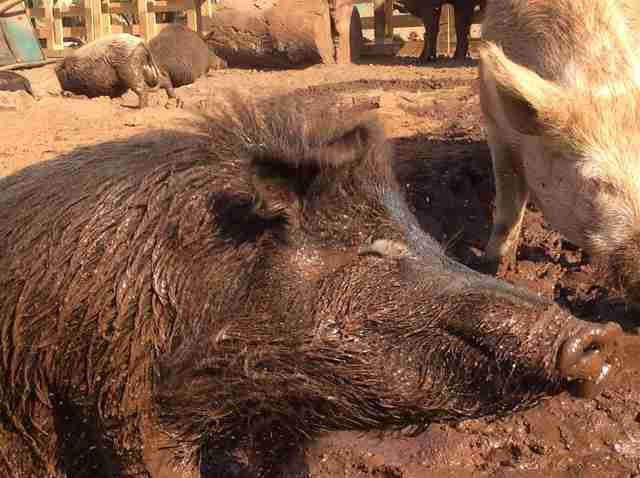 To help the 271 pigs at Pigs ‘n’ Paws, and to allow the sanctuary to rescue more animals, you can make a donation.